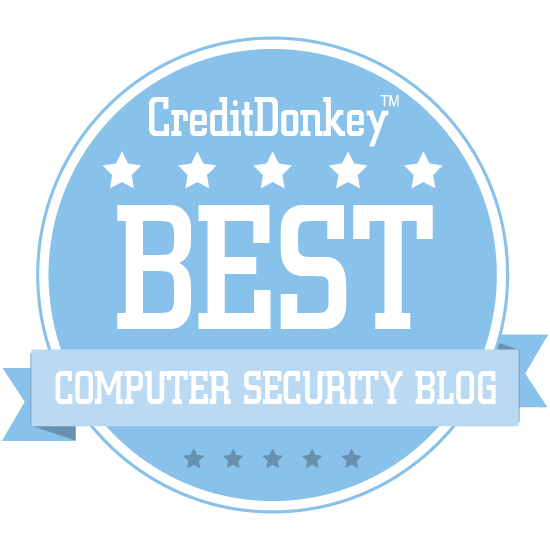 Winners of the CreditDonkey Best Computer Security Blogs have been announced. These blogs will help you make sense of all the latest ways to protect your information - a task that is getting harder every day. Lean on the wisdom of security experts, close observers of security trends, and even hackers themselves to protect yourself. Lots of blogs out there will claim to fill this need - and we've found the very best computer security blogs that will, in fact, keep you informed and on top of what you need to do to avoid cyber attacks and password problems. At CreditDonkey, the credit card comparison website, we often emphasize the importance of keeping your data safe. If your identity gets stolen or someone steals your passwords, you could end up with charges you didn't make on your credit card statement or - worse - you could end up with your credibility shattered with a low credit score. By paying attention to the Best Computer Security Blogs, you'll not only arm yourself with the latest information, but you'll also be able to protect yourself from the digital bad guys who want your data and want to flood your email account with malware, infiltrate your computer, and take over your good name. Naked Security is a blog that brings readers the latest computer security news, research, and advice from around the world. Why Naked Security is a Top Computer Security Blog: Get the latest news on cyberattacks and threats all over the world and learn how to protect yourself from them on this informative blog. Read: No, you will NOT be charged £5.99 to keep your Facebook posts private! ConnectSafely is a safety blog geared toward parents who want to help keep their children safe while they navigate the complex world of social media. Why ConnectSafely is a Top Computer Security Blog: Social media presents a number of dangers to young users; this blog will show you how to keep your kids safe. PandaLabs' Cyber Security Blog is for everyday users looking for tips to keep themselves and their devices safe online. Why Cyber Security Blog is a Top Computer Security Blog: This blog is perfect for everyday folks looking for tips on online safety and security, including how to keep your devices safe from ransomware, the latest security flaws, and more. Pluralsight is a SaaS platform designed to help CIOs and CTOs manage their business. They have enterprise technology teams learn and acquire technology skills needed to keep pace with technological changes. Visit their blog for news and updates on the tech industry. Why Pluralsight is a Top Computer Security Resource: In addition to being an excellent source of computer security information for professionals, their blog also encompasses a wide range of tech topics in its in-depth posts. McAfee Security's blog mixes great security advice for everyday users to tech industry news and the latest updates on the worst cyber threats. Why McAfee Security Blog is a Top Computer Security Blog: Whether you're looking for security tips for your personal devices or want updates on the latest major cyberattacks, you'll find it all on this blog. The Sucuri Blog is all about keeping websites safe from the latest security threats and vulnerabilities. Why Sucuri Blog is a Top Computer Security Blog: If you run a website of your own, this blog will keep you up to speed on all the security threats facing it and what you can do about them. Tripwire's State of Security blog provides the latest news, insights, and trends in the world of cybersecurity. Why Tripwire's State of Security is a Top Computer Security Blog: Readers who are interested in the future of cybersecurity and threats will find a lot to love about this blog's focus on tech trends and where they might be heading. Palo Alto Networks' blog focuses on cybercrime, including the latest attacks and threats and the people behind them, as well as how to prevent them. Why Palo Alto Networks is a Top Computer Security Blog: Anyone looking for information on the latest malware, where the next big cyberattack might be coming from, or what your system's vulnerabilities could be should give this blog a read. InfoSec Institute's blog not only keeps readers updates on how to stay safe online, but also covers hacking-related topics. Why SecurityIQ is a Top Computer Security Blog: This blog's frequent posts about hacking tools, vulnerabilities, and more will fascinate anyone interested in the world of hacking. Stay Safe Online is a blog dedicated to helping readers keep their personal and financial information private and secure as they navigate the online world. Why Stay Safe Online is a Top Computer Security Blog: Whether you're concerned about your credit card information getting stolen or keeping your children safe from predators on social media, this blog has the tips you need to feel secure online. The AlienVault Blog tackles today's biggest computer security threats, offering tips on how to avoid them, how to fix them, and what technologies will help keep you, your information, and your devices safe. Why The AlienVault Blogs is a Top Computer Security Blog: Covering a variety of topics from the latest malware to ethical hacking and more, this blog is great for everyday readers who want threat updates, as well as IT professionals looking for the latest news and technologies. The Akamai Blog is a business-focused tech blog written by experts that covers subjects such as cloud optimization, online security, and personalized experiences for consumers. Why The Akamai Blog is a Top Computer Security Blog: Anyone who operates an online business will discover not only great tips for reaching more customers, but also advice for keeping their business safe and secure from cyber threats. Read: Is HTTP/2 worth the performance price of TLS? 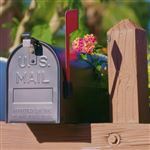 Cisco's OpenDNS blog provides Internet security news and analysis from Cisco's thought leaders. Why OpenDNS Blog is a Top Computer Security Blog: If expert cyber security advice from an industry-leading source is what you're after, you'll find plenty information on the latest threats, fixes, and trends on this blog. Elcomsoft is a blog about password security and recovery, data decryption, and mobile and cloud forensics. Why Elcomsoft is a Top Computer Security Blog: This blog teaches readers about the techniques hackers use to attack passwords and mobile phones; if you read it, you can learn a lot about how to keep yourself safe. The Ipswitch Blog provides expert insight and analysis into IT technology, cyber security issues for businesses, and the future of computer security. Why Ipswitch Blog is a Top Computer Security Blog: From hospitals to small businesses, this blog provides must-read information for IT professionals in just about any sector. 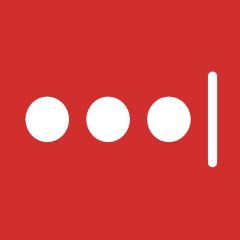 LastPass is a well-known password security company, and their blog provides readers with tips on good password practices, online security, and more. Why LastPass is a Top Computer Security Blog: If you've been looking for more secure ways to protect your passwords, LastPass's blog will provide you with plenty of great ideas. The Lavasoft Blog is all about helping readers keep their information safe and secure online and on the go, from tips to keeping your details out of the hands of advertisers to warning about the latest malicious cyber attacks. Why Lavasoft Blog is a Top Computer Security Blog: Readers looking for actionable ways to protect their data online and warnings on the biggest computer security dangers should bookmark this blog today. The Cyren Security blog analyzes all of the latest cyber security threats to both businesses and individuals, keeping readers up to date on how to keep their devices secure. Why Cyren Security Blog is a Top Computer Security Blog: Anyone on the lookout for a blog that provides information on the latest cyber security threats and how to avoid them should give this blog a look. Trail of Bits helps to secure some of the world's most-attacked organizations and products, and their blog details their process with in-depth posts. Why Trail of Bits Blog is a Top Computer Security Blog: IT professionals looking for detailed breakdowns of high-tech cyber attacks and the responses to them will find what they're looking for in this blog. Security Bytes covers topics including digital security, privacy, and compliance, as well as the latest individuals and companies making waves in enterprise information security today. Why Security Bytes is a Top Computer Security Blog: While this blog provides plenty of expert analysis of the latest information security threats and technology, its reporting on the infosec industry itself is what makes it a real standout. Written by Russ McRee, who runs the Blue Team for Microsoft's Windows and Devices Group, HolisticInfoSec features his monthly "Toolsmith" column, which looks at the latest infosec software and updates. Why HolisticInfoSec is a Top Computer Security Blog: Information security professionals looking for expert analysis of the latest tools of their trade will love this blog. The SANS Security Awareness Blog is all about teaching individual users and IT professionals alike how to be aware of the various online threats they face, and how to avoid them. Why SANS Security Awareness Blog is a Top Computer Security Blog: We use our devices every day, and it can tough to maintain a constant level of awareness about our own online security; this blog will teach you how to spot threats before they become major problems. Web of Trust is a blog that teaches readers how to ward off cyber attacks, from DDoS attacks to keyloggers and more. Why Web of Trust is a Top Computer Security Blog: Featuring news about the latest attacks, tips for keeping your data safe from a wide variety of attacks, and more, this blog is a must-read for folks concerned about their online security and safety. Read: WOT's App: WOT Mobile Security now live on Google Play! The Kroll Intelligence Center's blog features content written by their team of infosec experts on subjects from user security to compliance and more. Why Kroll Intelligence Center is a Top Computer Security Blog: With everything from tips for avoiding phishing scams to journalistic stories about security threats and more, this blog is for anyone interested in learning more about the current events of the infosec world. DDoS attacks can be devastating, and the Corero DDoS Protection Blog covers the different kinds of attacks, where they come from, and how to protect yourself and your business from them. Why Corero DDoS Protection Blog is a Top Computer Security Blog: This blog is about everything DDoS, including how to protect yourself from attacks, making it a must-read for IT professionals in particular. Read: Is DDoS Mitigation as-a-service becoming a defacto offering for providers? The Internet Patrol reports on a variety of online issues, from security to cyberbullying to handy tips and tricks. Why The Internet Patrol is a Top Computer Security Blog: If you consider yourself a citizen of the Internet, this blog's combination of important news from the online world and tips for navigating it will be for you. This blog is all about SharePoint, a document-management solution - how to use it, migrate data to it, and keep that data secure. Why Metalogix Blog is a Top Computer Security Blog: If your business uses SharePoint to manage documents, this blog will be an invaluable resource when it comes to security. The Rapid7 Community blog features posts on a variety of infosec topics, including protection, ransomware, and more, written by and for knowledgeable professionals. Why Rapid7 Community is a Top Computer Security Blog: With everything from quick posts to in-depth analysis of current threats, this community-driven blog is a great resource for infosec professionals. AVComparatives' blog reports on the company's tests on their own software, but also reviews anti-malware apps for Android and more. Why AVComparatives is a Top Computer Security Blog: Readers looking for expert advice on the best anti-malware software for their mobile devices will find some great information here. Wombat Security's blog covers the latest in cyber security news, insights, and best practices, giving infosec professionals the tools they need to do their jobs and help end-users better protect themselves. Why Wombat Security Technologies is a Top Computer Security Blog: This blog has plenty of great insights for infosec professionals and cybersecurity tips for consumers, but their security awareness training content is the real standout. SecurityScorecard's Insights & News blog reports on the security issues facing businesses, governments, and individuals, and provides advice on how to keep your data safe. Why SecurityScorecard Insights & News is a Top Computer Security Blog: If you want to know which companies have been attacked, which are at risk, and what the latest attacks are doing, this is the blog for you. Imperva Incapsula protects websites from many different DDoS attack threats, including the latest attacks and offers best practices on how to protect them. Why Imperva Incapsula is a Top Computer Security Blog: DDoS attacks can bring a website down for days at a time, but this blog can help you be ready for them. 451 Research is an information and technology research firm with over 100 researchers worldwide and thousands of articles and papers on a variety of topics, including computer and information security. Why 451 Security Blog is a Top Computer Security Blog: Readers looking for professional, well-researched sources on information security issues will find a vast resource here. Dashlane is a leading password manager and identity protection company and their blog explains the latest security threats and gives tips for protecting your identity with good password practices. Why Dashlane Blog is a Top Computer Security Blog: Individuals and employees who use bad password practices are the most at risk for online attacks; this blog will help you protect your identity and your business's data. Exodus Intelligence's blog is a deep, technical look at cybersecurity, featuring a number of in-depth tutorials for protecting yourself and your network from attack. Why Exodus Intelligence is a Top Computer Security Blog: If you're an IT professional or hobbyist looking for expert cybersecurity tutorials, you'll find some excellent options on this blog. AlertSec's Data Security Blog reports on the latest major cyberattacks from around the world. Why Alertsec Security Blog is a Top Computer Security Blog: Anyone who wants to know what's going in the world of major cyberattacks, and what's being done to rectify and prevent them, should check out this blog. Blue Coat Labs' blog dives into the latest cyber security threats, analyzing shady websites, practices, malware, and more. Why Blue Coat Labs is a Top Computer Security Blog: This blog's micro approach to individual security threats will be fascinating and useful for IT and infosec professionals. Cisco's Cloudlock blog updates readers weekly with the latest in cloud security news and provides tips and recommendations for keeping your cloud data safe from cyber attackers. Why CloudLock Blog is a Top Computer Security Blog: More and more businesses and individuals are turning to the cloud as a data storage solution, and this blog will help you ensure that your cloud data is always safe from prying eyes. ERPScan's blog focuses on issues of SAP cyber security for businesses and corporations. Why ERPScan is a Top Computer Security Blog: With news and analysis of the latest SAP security threats and breaches, this blog is for infosec professionals looking for news on SAP security issues. Read: What is SAP Security? 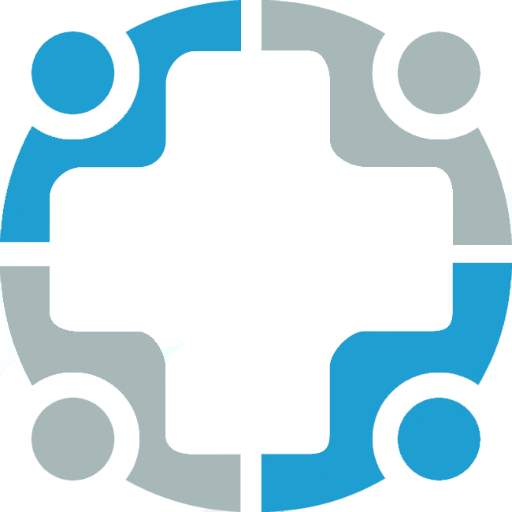 Acuantcorps' blog is all about identity protection for businesses, healthcare professionals, and individuals alike. Why Acuant Blog is a Top Computer Security Blog: As more and more of our data is stored in the cloud by ourselves and everyone we do business with, identity theft will become more and more of an issue; this blog covers the latest threats to you and your customers' identities and how you can prevent breaches. ThreatTrack Security's blog is all about the latest cyber security threats for individuals and businesses, providing news and analysis to help keep data safe. Why ThreatTrack Security is a Top Computer Security Blog: Whether you're looking for tips on how to prevent malware attacks or news on the latest phishing scams, you'll find the computer and data security content you need on this blog. The Checkmarx Cyber Security Blog reports on the latest security threats and industry developments worldwide. Why Checkmarx Cyber Security Blog is a Top Computer Security Blog: With posts about the latest infosec trade shows, threats to businesses and individuals, and more, this is a great general resource for information and computer security content. Providing information on topics including application security, DevOps, and risk management, The Security Influencers blog is written by professionals with real-world experience. Why The Security Influencers Blog is a Top Computer Security Blog: This blog covers current events through the lens of cyber security, offers analysis of the latest threats and technologies, and more; it's a comprehensive computer security blog written by experts, for experts and laymen alike. 10Pearls' blog features articles about the cybersecurity industry as well as tips and how-to's for IT professionals and tech entrepreneurs. Why 10Pearls is a Top Computer Security Blog: Tech entrepreneurs in particular will enjoy this blog's combination of security-focused content and great business practices. 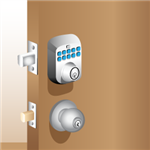 Cujo's blog covers issues of security in the Internet of Things, including smart homes, and offers readers tips on how to keep their homes, devices, and loved ones safe from cyber threats. Why Cujo is a Top Computer Security Blog: If you use smart home technology, chances are it's vulnerable to hacks; this blog will show you how to keep your home protected. Menlo Security's blog covers the hottest topics in computer and information security today with good humor, expert analysis, and easy-to-read language. Why Menlo Security is a Top Computer Security Blog: This is a well-written blog that security experts and laymen alike can enjoy, offering up news, analysis, and more of the latest cyber threats. Access Smart's blog provides news on the latest password security technology and tips on how to keep your passwords as secure as can be. Why Access Smart is a Top Computer Security Blog: Readers who are concerned about their password security or want to learn about how password protection technology is evolving should give this blog a read. LookingGlass Cyber Solutions' blog brings readers weekly updates on the latest cyber security threats and phishing scams, as well as insights into the cyber security industry and its trends. Why LookingGlass Cyber Solutions is a Top Computer Security Blog: If you've been looking for a consolidated weekly update on the biggest cyber security threats facing users worldwide, you'll find it on this blog. Read: Weekly Phishing Report - February 1, 2016 | LookingGlass Cyber Solutions Inc.
Foresite's blog focuses on IT advice and reporting for businesses, and is written in clear language that even a tech layman can understand. Why Foresite is a Top Computer Security Blog: Business owners concerned about data security and looking for more options should check this blog out immediately. The ITSpecialist blog focuses on personal cybersecurity, with tips for users on how to keep themselves and their devices safe from attack. Why ITSpecialist is a Top Computer Security Blog: Anyone who's looking for expert advice on protecting themselves from phishing scams, bad apps, and more should give this blog a look. The Cyber Edge offers insights and analysis into the world of cybersecurity, from user best practices all the way up to the challenges facing the world's most powerful governments. Why SIGNAL Magazine's Cyber Blog is a Top Computer Security Blog: This is a wide-ranging blog for anyone interested in how cyber attacks and security are shaping the world around us today. 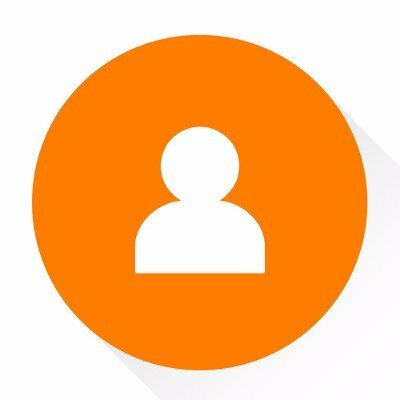 The blog on SecureWorks® is broken up into three handy categories: fundamentals, for measuring the maturity and effectiveness of your infosec program; leadership, for protecting your organization and improving security; and threats and defenses, which provides insights on the latest attacks and the technology that defends against them. Why SecureWorks is a Top Computer Security Resource: With its handy categories and clear, clean language, their blog will prove to be a great resource for any organization looking to shore up its cyber security. GuardiCore's blog is a space for their cybersecurity experts to provide analysis of the latest advanced threats, report on the latest tools hackers are using, and profile everything they catch. Why GuardiCore is a Top Computer Security Blog: Readers interested in the latest cybersecurity threats, what they mean, and how to protect themselves will want to give this blog a read. Schneier on Security reports on digital security in the news, from recent hacks to security fails by major companies. Why Schneier on Security is a Top Computer Security Blog: This is a great blog for anyone who wants up-to-date news on digital security in our world today. Created to help computer and mobile users across the world stay in the know on all things security, Trend Micro Simply Security offers independent news and views as well as expert insight from Trend's security experts. Why Trend Micro Simply Security is a Top Computer Security Blog: Readers who are pressed for time will appreciate this blog's tidy weekly news round-ups, where they can learn about topics ranging from cloud security, data protection, internet security and privacy, to threat intelligence, research and prevention in one place. The Electronic Frontier Foundation is a nonprofit organization dedicated to defending the civil liberties and rights of people online, and their blog provides updates on digital laws, regulations, and rights. Why Electronic Frontier Foundation is a Top Computer Security Blog: Digital and online law is constantly changing, and if you want to keep up-to-date on your digital rights, this is the blog for you. Webroot Threat Blog details the latest, biggest threats to information security, including ransomware, malware, and threats to your smartphone. Why Webroot Threat Blog is a Top Computer Security Blog: This blog's detailed posts on the latest cyberattacks and information security threats make it a must for small business IT professionals who want to keep their company's data safe. 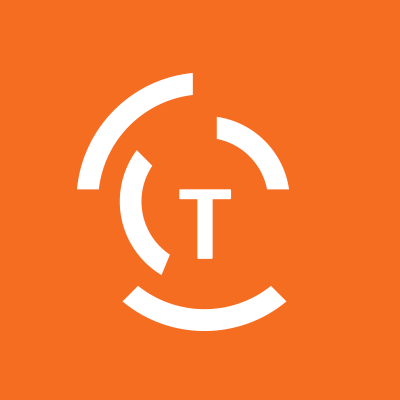 From basic tips for personal digital security to article aggregation for security experts and professionals, TaoSecurity is a great blog for anyone interested in the cybersecurity world. Why TaoSecurity is a Top Computer Security Blog: Site founder Richard Bejtlich covers everything from personal digital security to homeland security on this blog, making it the right stop for anyone interested in all aspects of security. CloudFlare provides security to websites, and their blog is packed with information and tips on how to keep your website safe from DDOS attacks and other threats. Why CloudFlare is a Top Computer Security Blog: Whether you run your entire business through your website or you just value your website's security and stability, anyone with a site of their own would do well to check out CloudFlare's blog. 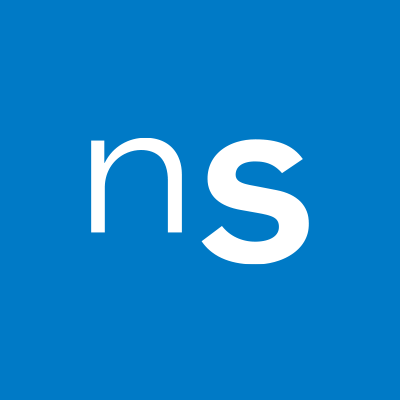 The SAS network of blogs offers content on everything from business management to digital security to data solutions and innovations. Why SAS Blogs is a Top Computer Security Blog: Business owners whose businesses handle large amounts of digital data will get the most out of the varied content on the SAS blogs, though anyone interested in digital security will find plenty of great information here, too. CERIAS is regarded as one of the world's best information security research and education centers, and their blog features long articles and editorials about the nature of security today. Why CERIAS Blog is a Top Computer Security Blog: Students of information security will find a lot to learn from the in-depth think pieces and editorials to be found on this blog. Fortinet's blog features interviews with leading digital security experts, news on the latest threats, and more. Why Fortinet Blog is a Top Computer Security Blog: If you want to know what the latest malware, ransomware, and other digital threats are, this blog is one to add to your reading list. Imperva is a cybersecurity blog featuring advice for businesses and financial services looking to keep themselves safe from attacks. Why Imperva Cyber Security Blog is a Top Computer Security Blog: Business owners will find plenty of great security insights and tips here. Graham Cluley's blog provides frequent updates on hacks, malware, and scams so his readers can stay safe online. Why Graham Cluley is a Top Computer Security Blog: If you're growing suspicious that you've been hacked, Graham's blog is a great place to check for news on the latest hacks and scams. 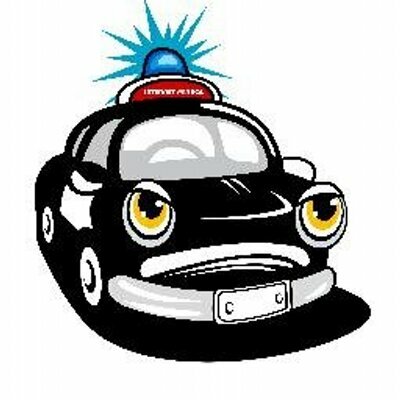 Fox IT's blog is dedicated to providing news on the latest cyberattacks all over the world. Why Fox IT Security Blog is a Top Computer Security Blog: The international focus of this blog makes it a must for anyone who needs to stay up-to-date on the biggest and baddest cybersecurity threats around the world. Safe and Savvy is a blog built to help consumers keep their computers and software free from malicious attacks. Why F-Secure Safe & Savvy Blog is a Top Computer Security Blog: Written at a level that anyone can understand, this blog is perfect for those who are looking for computer security tips but aren't necessarily tech savvy. Read: Did a funny test in Facebook? Time to clean the permissions. Black Hat is the annual Las Vegas conference for high-level hackers and digital security experts, and their blog is packed with detailed, up-to-the minute computer and digital security news. 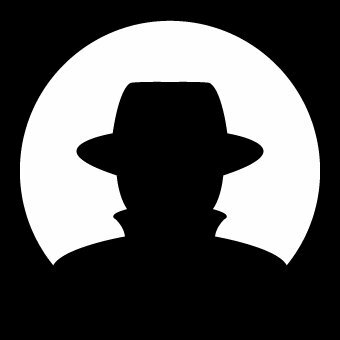 Why BLACK HAT is a Top Computer Security Blog: Those looking for a blog for hackers, by hackers will find what they're looking for on Black Hat's site. In a connected world where the latest digital fad often takes off before we fully understand its vulnerabilities, ZoneAlarm's blog is here to update readers on the most pressing digital security threats around. Why ZoneAlarm by Check Point is a Top Computer Security Blog: Helping its readers avoid scams, ransomware, and spyware, this blog is perfect for good netizens who want to keep their vulnerabilities to a minimum. The Mac Security Blog provides tips and news for Mac and iPhone users to keep their devices safe and secure, and even features handy Mac hacks that you likely never knew about. Why The Mac Security Blog is a Top Computer Security Blog: High-volume Mac users will appreciate this blog's laser focus on the oft-overlooked world of Mac security. Veracode's blog is geared toward app developers who want to keep their services and intellectual property secure both in development and after release. Why VERACODE is a Top Computer Security Blog: Any app developers out there take note: this blog is a great resource for keeping your company and your software's security up to snuff. CyberArk's blog is geared toward helping users protect their password and account security. Why CyberArk is a Top Computer Security Blog: If you're wondering whether or not to change your password, or even if your password is secure enough, this blog's account security tips will answer your questions. Mimecast features the latest news on the information security industry, as well as podcasts geared toward security professionals and businesses. Why Mimecast is a Top Computer Security Blog: If you're looking to learn about the latest information security news on the go, the podcasts found on this blog are a great start. 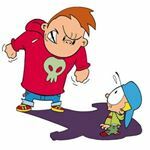 Cyberbullying Research Center's blog is filled with tips, tools, and more to both stop and prevent cyberbullying. Why Cyberbullying Research Center is a Top Computer Security Blog: This blog is an important resource for parents and school officials who are trying to put a stop to the cyberbullying epidemic. 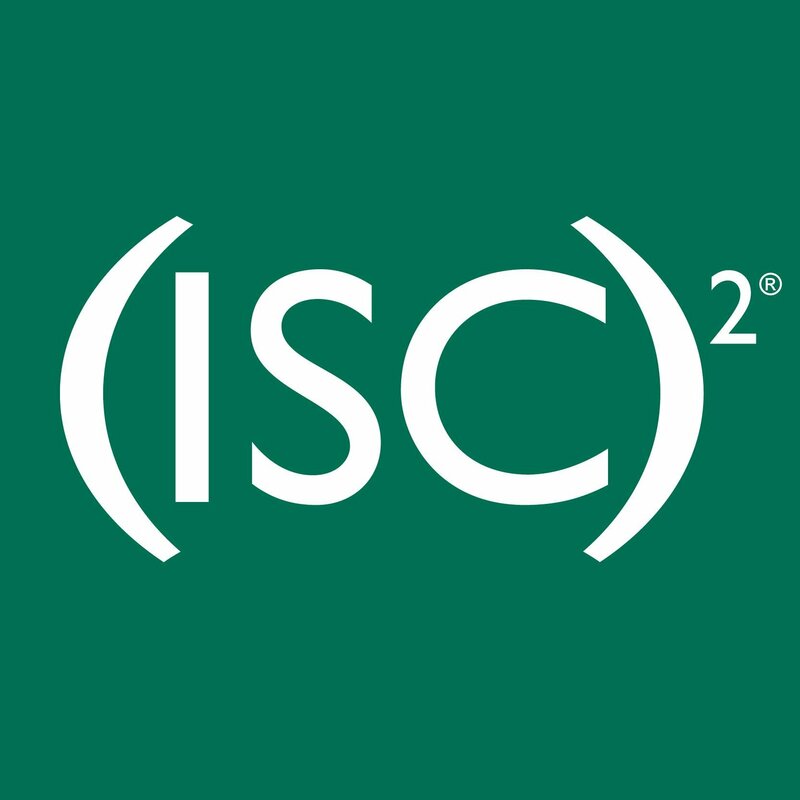 (ISC)² is a blog that showcases the cybersecurity organization's working members through interviews, profiles, and editorials. Why (ISC)² Blog is a Top Computer Security Blog: Anybody who is interested in a career in cybersecurity will learn a lot about what it takes from this blog. 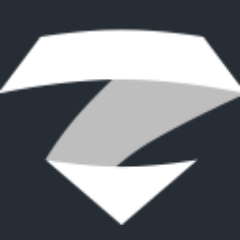 Zimperium is a mobile security company, and their blog updates readers on the latest mobile threats and vulnerabilities, new mobile research, think pieces about the biggest security issues of the day, and company news. Why Zimperium is a Top Computer Security Blog: Readers interested in mobile security, be it the latest malware or what security experts have learned from past attacks and threats, will glean some great information from this blog. FireEye tackles advanced security threats, and their blog features their threat research as well as musings from their top executives. Why FireEye Blog is a Top Computer Security Blog: FireEye is a leader in advanced security threat detection, and their blog is an oft-updated repository of the latest research for anyone who wants to stay up-to-date on the most important information security matters. SANS Security's blog is built to ingrain great security practices in the mind of every app and software developer out there. Why SANS Institute AppSec Blog is a Top Computer Security Blog: Security conscious app and software developers will get the most from this highly detailed and technical blog. The Privacy & Information Security Law blog highlights changes in the ever-evolving landscape of international Internet security law. Why Privacy & Information Security Law Blog is a Top Computer Security Blog: Readers who want the latest on new privacy and security legislation from around the world will find what they're looking for in this blog. Vormetric's blog encompasses a wide range of content centered around data security, from news on the latest threats to thoughts on the biggest security innovations of the day. Why Vormetric is a Top Computer Security Blog: If data security interests you, whether as a profession or as a hobby, this blog's news, think pieces, and advice are tailor-made for you! Tenable Network Security's blog focuses on keeping business' networks safe from breach by cybercriminals. Why Tenable Network Security is a Top Computer Security Blog: IT Professionals who are trying to stay on top of the latest threats to their networks would do well to check out this blog's tips and warnings. Network security company Vectra Networks' blog is dedicated to providing advice, how-to's, and think pieces about how to keep your business' network safe from cyberattacks. Why Vectra Networks is a Top Computer Security Blog: Business owners have a lot to lose if their company is victimized by cybercrime; if you need some help protecting your network then you should check out this blog immediately! 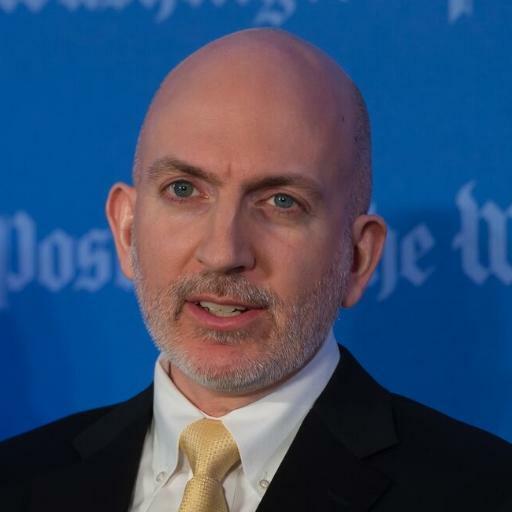 BH Consulting's blog focuses not just on advice for staying secure in a connected world, but also on news from around the cybersecurity community. Why SecurityWatch is a Top Computer Security Blog: Readers who want to stay tuned in to the latest news on cybersecurity through conferences, webinars, and interviews should take a look at this blog. SANS Security Trend Line blog is just that: a blog that posts about the latest trends in information security. Why SANS Security Trend Line is a Top Computer Security Blog: Whether you're looking for updates on the latest security threats, information on fixes, or news about the security industry, you'll find it on this blog. Emergent Chaos mixes digital security how-to's with real-world security think pieces for a unique blend of content. Why Emergent Chaos is a Top Computer Security Blog: This blog's editorial style and take on current digital security issues make it a good read for anyone who likes to read up on cybersecurity and doesn't mind getting technical. Read: Secure Code is Hard, Let's Make it Harder! Thycotic's blog provides tips for businesses to stay secure, news about the latest cybersecurity threats, and information about account security. Why Thycotic is a Top Computer Security Blog: This is a great blog for companies that store large amounts of data in the cloud, with many articles dedicated to cloud security and privileged password management. 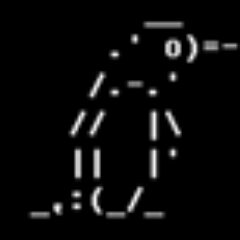 Flyingpenguin is a security consultancy firm whose blog features not only posts about improving encryption and warding off digital attackers, but also about the history of encryption and security in general. Why flyingpenguin is a Top Computer Security Blog: Encryption enthusiasts will love the articles here, which can be about anything from password strength to ancient encryption techniques. foXnoMad is the work of a traveling blogger who provides useful tech and security tips to readers who love to travel. Why foXnoMad is a Top Computer Security Blog: Traveling can open up your devices to all sorts of security threats, so if you have a case of wanderlust and want to keep your data safe on the road, this is the blog for you. The Shadowserver Foundation's blog is a hacker-centric security blog that's all about the numbers and data of information security. Why Shadowserver is a Top Computer Security Blog: Hackers and security experts should keep tabs on Shadowserver's blog, where they post about their ongoing information security projects. PerezBox is a blog for small business owners who need tips on keeping their business and customer data safe from cyberattacks. Why PerezBox is a Top Computer Security Blog: It's imperative for small business owners to protect against cyberattacks, and this blog will help them do just that. The Falcon's View features bite-sized posts of musings on just about all aspects of information security. Why The Falcon's View is a Top Computer Security Blog: This blog is written by a self-described information security obsessive, and anyone who would describe themselves as the same will love the short-form content to be found here. Yes, the Tor Project has a blog, and it's geared toward users who value their online privacy as well as those who make regular use of the Tor browser. Why Tor is a Top Computer Security Blog: If your online privacy is of paramount concern to you, you'll learn about a lot of great tips, tricks, and tools from this blog. Spiceworks is an ever-growing community of IT professionals at small and mid-size businesses, and their blog features content from their members. 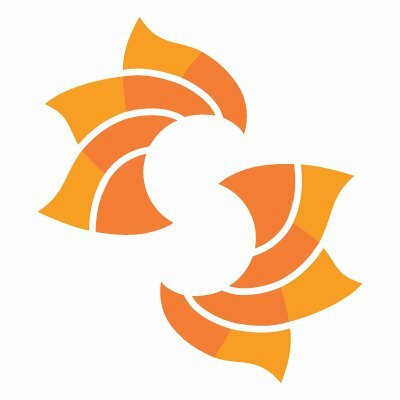 Why Spiceworks Blog is a Top Computer Security Blog: IT pros at independent businesses should not just check out this blog, but join and participate in its vibrant, growing community! The CloudPassage blog provides insight and advice on keeping your cloud-based data secure. Why THE CLOUDPASSAGE BLOG is a Top Computer Security Blog: Cloud security is a major concern for individuals and businesses alike, and this blog is great for anyone who wants to ensure that their cloud-based data is safe from any threats. Gov Info Security has a number of news websites each focusing on a different topic like cybersecurity in the U.S. government, healthcare and banking, and more. Why Gov Info Security is a Top Computer Security Blog: Those who want to know how cyberattacks affect our government and industries will find what they're looking for on the GovInfoSecurity website, all sorted into handy, easy-to-navigate categories. NTT Security (US), Inc. (formerly Solutionary) is a security consulting and managed security services provider, and their blog is a place for IT professionals to both learn and talk about the latest in IT security and compliance. Why NTT Security is a Top Computer Security Blog: The in-depth, often multi-part security and compliance articles on this blog will appeal to IT professionals who are looking to learn about news and innovations in their field. Lastline Labs' breach detection platform detects and defeats malware that attackers use in malicious Web, e-mail and other delivery methods to evade security products, gain footholds in networks and compromise sensitive information. Their blog showcases much of their team's latest news and research. 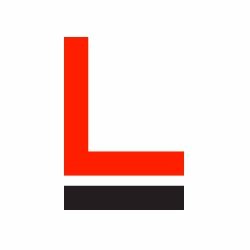 Why Lastline Labs is a Top Computer Security Blog: Anyone interested in the most cutting-edge ways IT professionals and even academics are tackling the issue of malware will love this blog. Network monitoring company Paessler's blog provides tips for small business owners and managers, as well as advice on how to keep your business' network secure. Why Paessler Blog is a Top Computer Security Blog: This blog's simple, clear articles on network security and its business and management advice make it a must for small business owners. Cyber in Sight is a cybersecurity blog that provides tips for business owners, news on the latest cybersecurity happenings, and interviews with security experts. Why Cyber in Sight by SURFWATCH is a Top Computer Security Blog: This is a wide-ranging blog great for readers who are looking for in-depth, current content on the world of information security. NetFamilyNews is a blog dedicated to research, trends and developments around youth and tech. 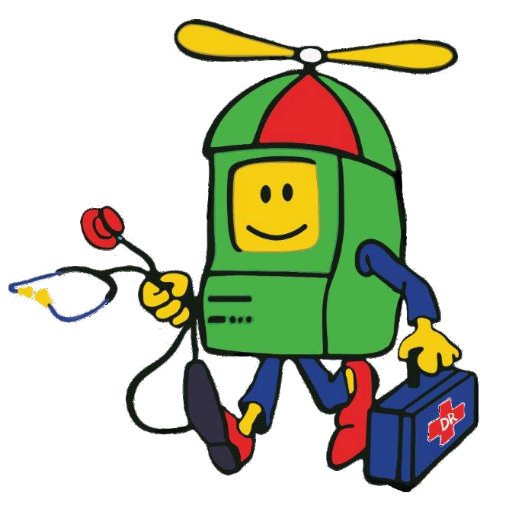 Their tag line is "kid-tech intelligence for parents". Why NetFamilyNews is a Top Computer Security Blog: Parents whose children are taking their first steps into the online world will find a lot of great advice about online safety and security on this useful blog. Trustwave SpiderLabs blog helps organizations fight back against cybercrime with prevention tips and news on the latest patches and exploits. Why SpiderLabs is a Top Computer Security Blog: This blog's guides on how to deal with issues like a Denial of Service attack make it great for readers who want to be ready in case the worst happens. Qualys' blog details key software patches and vulnerabilities they cover, as well as any further problems they might cause. 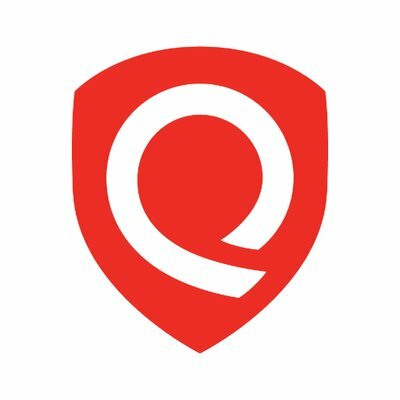 Why Qualys Blog is a Top Computer Security Blog: If you're wondering if a new PC problem is due to your last Windows update, or if any other patch might be putting your data at risk, this is the blog for you. 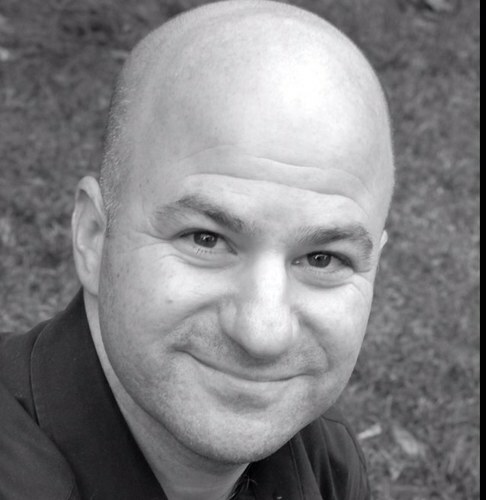 Michael Peters is a digital security expert whose blog dispenses advice on everything from cloud computing to avoiding phishing scams. Why Michael Peters.org is a Top Computer Security Blog: This blog covers a wide range of digital security topics, making it a great stop for IT professionals looking for the latest news and advice in cybersecurity. F5 provides comprehensive data solutions to companies, and their blog is packed with great content on data storage, protection, and more. Why F5 Blog is a Top Computer Security Blog: IT professionals who spend their days protecting and defending their company data will love the up-to-the-minute news as well as the advice and think pieces on this blog. Application security company Cigital's blog ranges in content from news about new digital security threats to security advice and how-to's for businesses and software developers. Why Cigital Software Security Blog is a Top Computer Security Blog: Software developers who want to make sure their applications are secure at every stage of development will find a lot of useful content on this blog. Malwarebytes' blog provides updates on the latest malware and how to fix it. Why Malwarebytes is a Top Computer Security Blog: Malware happens to even the most careful of Internet users, and this blog is built to help victims free their computers from its grip. Tech Policy Lab's blog focuses on changes in the technology world, whether it's new innovations, laws, or threats. 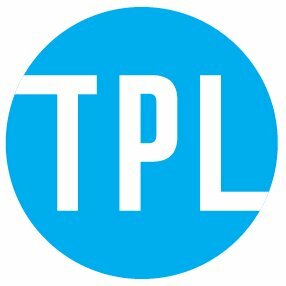 Why Tech Policy Lab is a Top Computer Security Blog: This blog features a number of videos of speeches and presentations about technology law and policy, making it great for those who would rather watch an engaging speaker than read a lengthy article on these subjects. 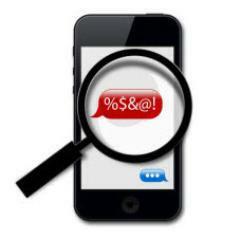 NowSecure is a mobile app security test company, focused exclusively on security vulnerabilities in mobile apps relied on by hundreds of millions of consumers. Why NowSecure is a Top Computer Security Blog: Mobile app developers and consumers alike will find a lot of great information on how to minimize security risks in their software apps and devices. 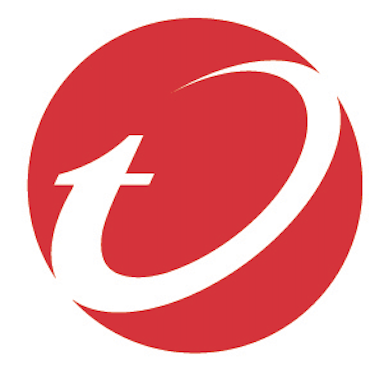 Tanium is an information security company whose blog details how they hunt down and stop cyberattacks for their customers and clients. Why Tanium Blog is a Top Computer Security Blog: Readers who want an inside look on what it takes to defend businesses against high-tech security threats will enjoy the posts about Tanium's work on this blog. Clearwater Compliance's Compliance and Risk Management Information blog is all about threats to healthcare data and what the organization is doing to head them off. 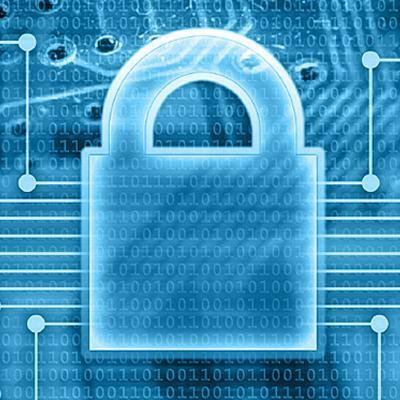 Why Compliance and Information Risk Management Blog is a Top Computer Security Blog: Healthcare IT professionals should make this blog a part of their regular rotation thanks to its frequent posts about the threats facing healthcare data nationwide. The IT Governance Blog is a UK-based digital security blog that keeps its readers up-to-date on the latest threats, attacks, and vulnerabilities to their data's security. Why IT Governance Blog is a Top Computer Security Blog: UK readers who want the latest news on cybersecurity and threats in their nation will appreciate this blog's news. Towerwall's blog provides information on the latest developments in the digital security industry, as well as thoughts on the latest attacks and threats and how to head them off. 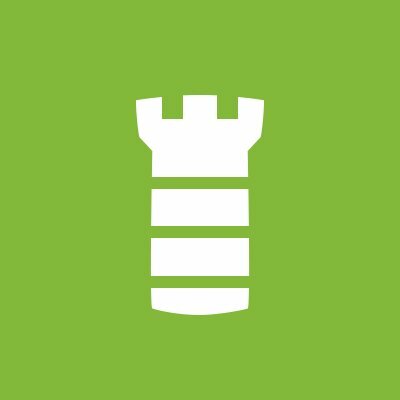 Why Towerwall is a Top Computer Security Blog: Business owners who want the latest information on the world of digital security will appreciate this blog's straightforward approach to best practices and advice. Geeks on Site's blog is a practical blog for consumers who need tips on how to prevent attacks on their computer, and what to do if they fall victim to an attack. Why Geeks On Site Security Blog is a Top Computer Security Blog: If your PC is acting up, whether due to virus, malware, or hardware malfunction, Geeks on Site's blog will have a fix for you. Carbon Black is a company that focuses on endpoint security, and their blog provides tips on how to defend your business' endpoint from even the highest of high-tech attacks, including ransomware. Why Carbon Black is a Top Computer Security Blog: Carbon Black's blog is strictly for those who are serious about their data security, with in-depth articles geared toward helping professionals defend their data from the latest cyberattacks. It also features the latest cyber security news of the day, with the Carbon Black Morning Coffee headlines. IKANOW is dedicated to helping businesses survive and thrive in the age of cybercrime, and their blog is packed with articles designed to guide business professionals through the perils of network and information security. Why IKANOW is a Top Computer Security Blog: Small business owners who want to better protect their customers' valuable data should check this detailed blog to make sure they're as secure as they can possibly be. Digital Guardian is packed with practical tips for small businesses and IT professionals who are looking for more ways to keep customer data safe and secure. Why Digital Guardian Blog is a Top Computer Security Blog: With its actionable tips for small businesses, information security articles for laymen, and news about the latest cybersecurity threats, this blog is a must for small business owners who want to stay on top of their customers' data security. Read: Insider vs. Outsider Data Security Threats: What's the Greater Risk? 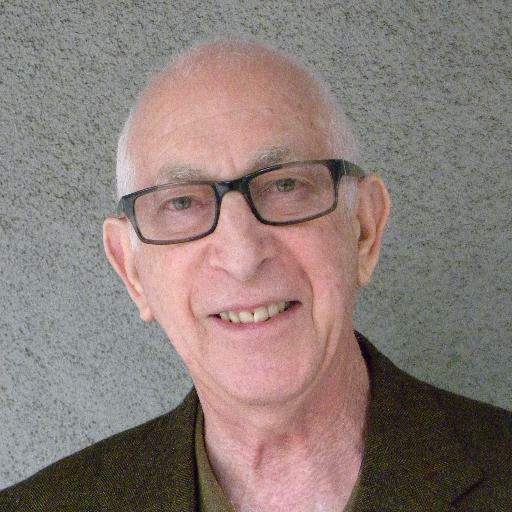 Emery Berger is a professor of Computer Science at the University of Massachusetts Amherst, and his blog covers computer science and security issues in academia and beyond. Why Emery Berger's Blog is a Top Computer Security Blog: Students of Computer Science and digital security will learn a lot from Emery's academic approach on this blog. Citadel Information's blog keeps its readers abreast of the latest cybersecurity news affecting consumers, businesses and our nation's cyber-defense capabilities, including attacks, scams, breaches, defense tactics, software patches and more with their frequent news roundups. Why Citadel Information Group, Inc. is a Top Computer Security Blog: If you've been looking for a blog that neatly organizes each week's cybersecurity news into easy-to-digest rundowns, you'll find it here. 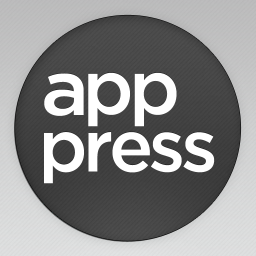 App Press' blog provides development, business, and security advice for app developers, whether they're experienced or just starting out. Why App Press is a Top Computer Security Blog: There's a lot that goes into developing a hit app, from great coding to strong business acumen to bulletproof security, and this blog will help aspiring app developers with every aspect of the process. MerchantLink's SecurityCents blog provides helpful advice, how-to's, and news geared toward keeping retailers and other brick-and-mortar businesses' data safe and secure. Why SecurityCents Blog is a Top Computer Security Blog: Retailers, restaurant owners, and more should make this blog a regular stop if they hope to keep their customers' payment data safe from cybercriminals. Security Innovation Application and Cybersecurity blog features posts about business and personal information security, written in clear, easy-to-grasp language. Why Security Innovation is a Top Computer Security Blog: Businesses and individuals alike should be concerned about their data's security, and this blog exists to help you protect yours. Read: When will Quantum Computers Arrive? Tresorit's blog provides digital security advice geared toward both individual consumers and small businesses. Why Tresorit is a Top Computer Security Blog: Individuals looking for tips on keeping their devices safe from cyberattack - no matter where they are - will find some great content on this blog. Pulse Secure's blog focuses on helping individuals and businesses stay safe online with practical cybersecurity tips. Why Pulse Secure is a Top Computer Security Blog: Small business owners wondering how better to manage the information security of their employees will find a number of great articles to help them on this blog. 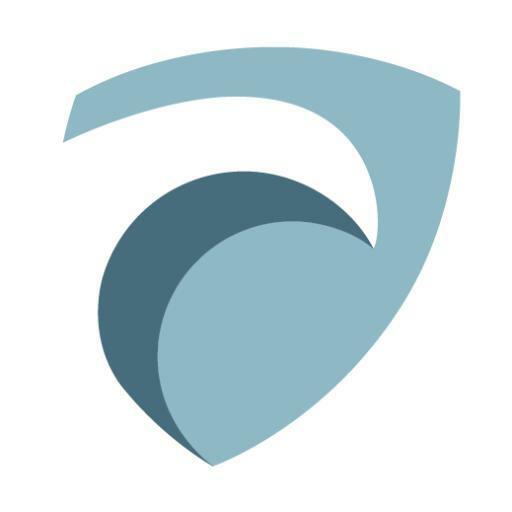 Root9B is an industry leader in cybersecurity, and their blog features news and information about the world of high-level cybercrime and security. Why root9B Threat Defiance Report is a Top Computer Security Blog: Readers interested in what a high-level, government-contracted cybersecurity firm does should check out this blog. WhiteHat Security's blog brings readers expert news and analysis of the state of the infosec industry and the trending threats that it's facing. Why WhiteHat Security is a Top Computer Security Blog: Information security professionals who want to keep tabs on the issues facing their industry should definitely be reading this blog. Microsoft's Malware Protection Center reports on the biggest current malware threats and the efforts the Microsoft Corporation is taking to protect their users. Why Microsoft Malware Protection Center is a Top Computer Security Blog: Windows users who want to be up to date on the latest cyber security threats and Microsoft's responses to them should bookmark this blog. Tortuga Logic's Silicon Security Blog tackles the latest threats and vulnerabilities to silicon designs in the tech industry. Why The Silicon Security Blog is a Top Computer Security Blog: Tech professionals who work with silicon designs should definitely be reading up on the vulnerabilities and fixes this blog reports on. 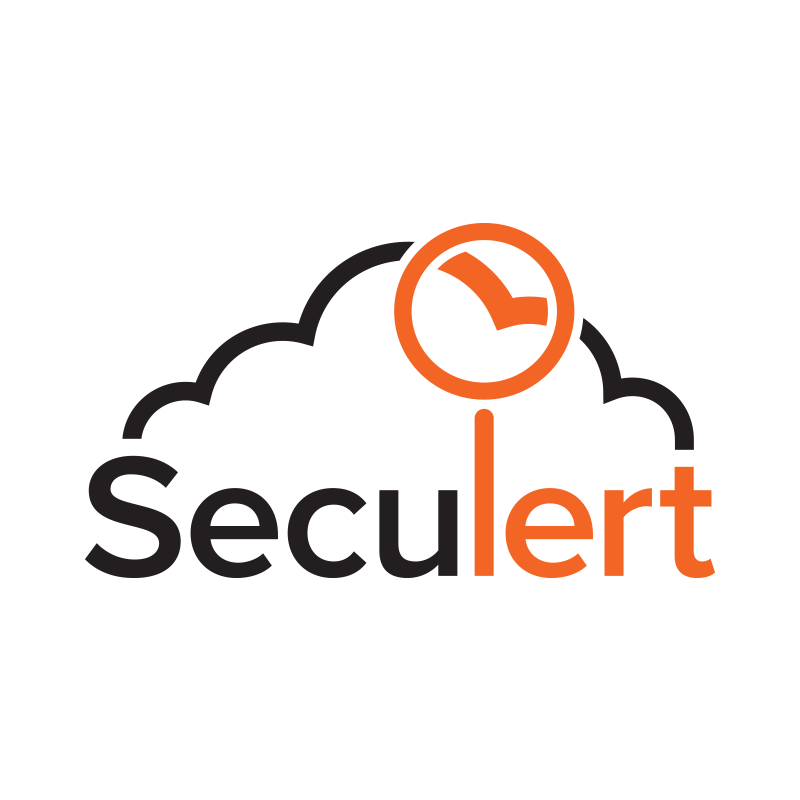 The Seculert Blog tackles the biggest trends and topics in information security today, offering up insights and deep analysis of the latest news and concerns. Why Seculert Blog is a Top Computer Security Blog: This blog's in-depth dives into the biggest computer security threats of the day will be of particular interest to information security professionals. The Gigamon Blog offers up news on current events in the information security world, as well trends and tips for keeping your data safe from cyber attacks. Why Gigamon Blog is a Top Computer Security Blog: This blog's analysis of current cyber security threats in the news and beyond makes it a great read for professionals who want to know more about the threats and trends that are rocking their industry. Bromium's blog tackles a range of computer security issues, from cyber-warfare to protecting your devices from malware. Why Bromium Blog is a Top Computer Security Blog: Readers who want to learn about the latest computer security threats alongside major news and developments in the security industry and beyond should check out this blog. Read: Bring it. Yes, your worst malware. 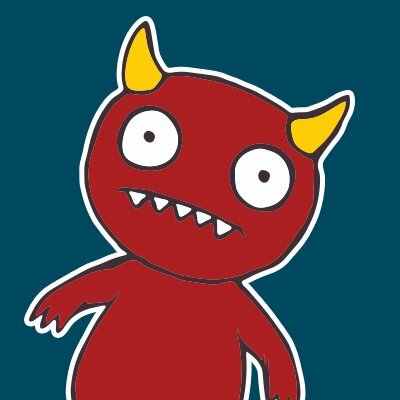 Win £10K. The IBM Security Intelligence blog provides expert analysis and insight into current information security problems and solutions. Why IBM Security Intelligence is a Top Computer Security Blog: This is a blog by information security pros, for information security pros; it tackles the latest cyber security issues and looks to where the future is headed. Read: Does the Security Industry Have an Immune System Problem? 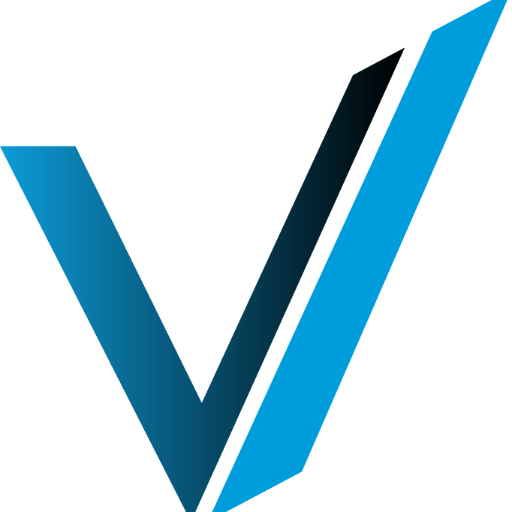 The Verint Blog is a business-focused blog for companies looking to boost their computer security to protect their own and their customers' data. Why The Verint Blog is a Top Computer Security Blog: A cyberattack can be devastating for a company, but this blog will give you the tips you need to protect your business. The Cisco Security blog is packed with news on the latest cybersecurity technologies, the latest attacks and threats, and more. Why Cisco Security Blog is a Top Computer Security Blog: IT professionals can use this blog to keep up-to-date on the latest issues in the world of computer security. Hacker Combat community is a reliable source for learning about the latest developments in the cybersecurity world. Why Hacker Combat is a Top Computer Security Blog: Hear what our security experts have to say and employ those tips in safeguarding your enterprises from various evolving IT security threats. HackerCombat covers everything from IT Security to Hacking related news and also provides expert analysis and forums where anything related to IT security can be discussed. The security community also serves as an ideal platform for promoting start-ups, organizes event management, and helps various people as well as security geeks. Leave a comment about Best Computer Security Blogs: Top Experts? Share on Facebook "Best Computer Security Blogs"